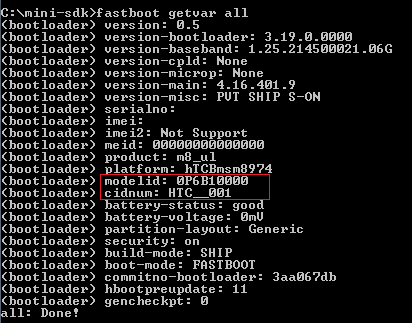 This guide is related to the previously published article - How To: Flash firmware package on the HTC device. The goal of this guide is to expose the problem of a matching firmware version for the particular HTC device. Please read it carefully and in case of any questions leave a proper comment in the comments section at the end of this article. 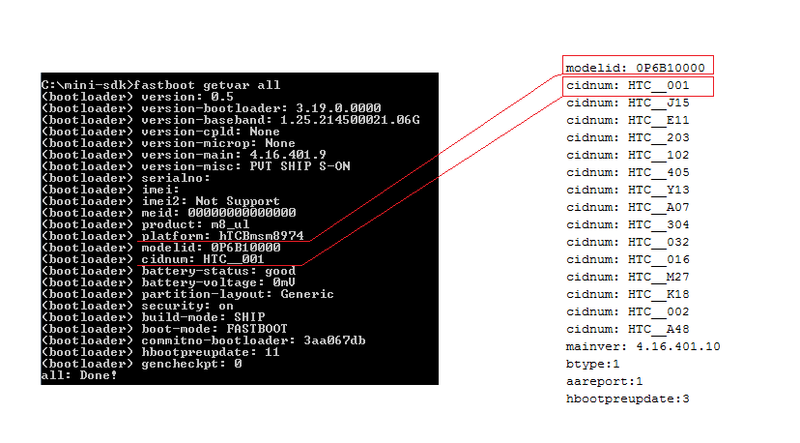 Every firmware.zip has 2 main attributes: modelid (MID) and cidnum (CID). MID contains a codename of your device. For example the "0P6B1000" is the international version of the HTC One M8, while the "0P6B13000" is the T-Mobile U.S. version of the HTC One M8. CID is the carrier software codename. For example the "HTC__J15" code represents the unbranded international version of the HTC One M8, while the "T-MOB010" code represents the T-Mobile U.S. software. Different CID numbers are usually used for mobile operators to include different regional settings, languages or to include some extra software (Wi-Fi Calling, Visual Voice Mail etc.). What you are looking for is the "modelid" and "cidnum". If your device is S-ON then both modelid and cidnum must match. If your device is S-OFF then modelid is critical to match, but cidnum can be changed either by changing CID of your device or by editing android-info.txt. Edited firmware.zip can't be flashed on the S-ON device. If your device is S-ON then you can't downgrade your current firmware version. 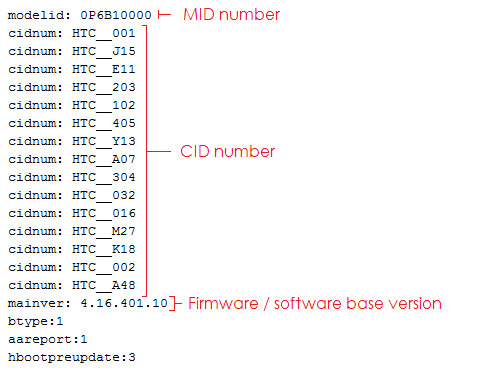 If both CID and MID numbers match you can safely flash the firmware.zip package - How To: Flash firmware package on the HTC device.